Future forms of mobility pose new challenges for modern powertrain systems. 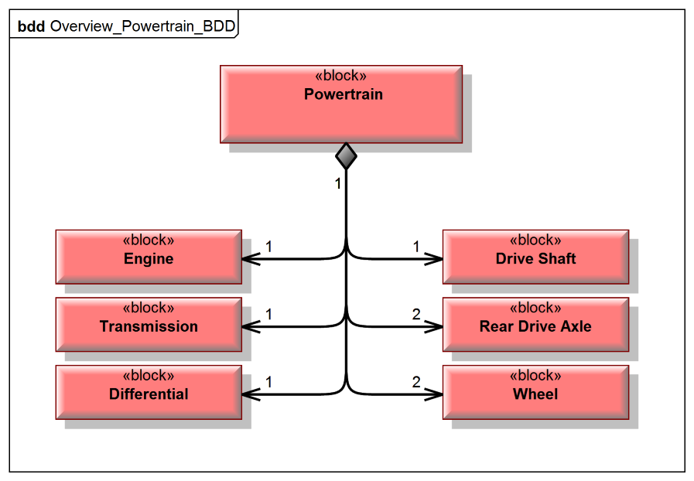 The powertrain system is confronted with an increasing complexity in the development concerning the technical as well as the organizational side. Trend topics such as electrification or autonomous driving require new approaches that enable optimized interaction between the individual systems in the powertrain. This already distinguishes itself and is reinforced by requirements in terms of short development time, increasing diversity of variants and functionality at lower costs. New approaches are needed that unite different disciplines in development and bring requirements to the best possible solution. 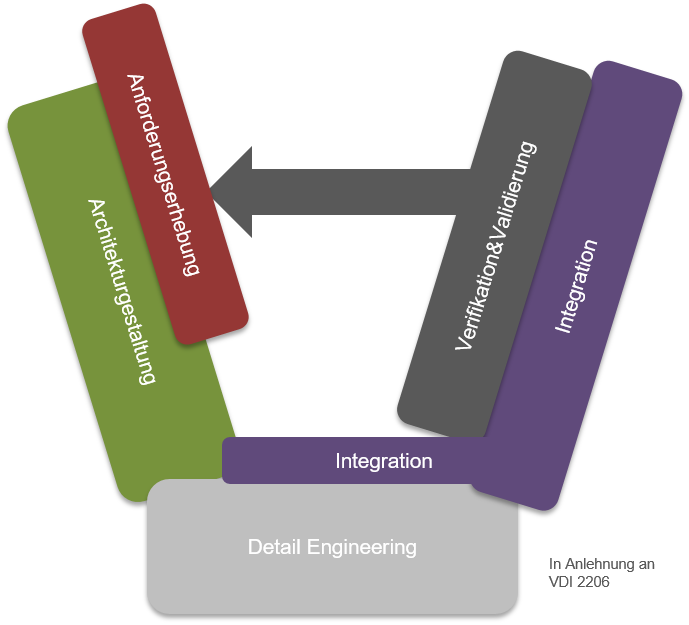 Presented in the V-Modell (see below), the institute deals with the methods and interactions for technical development. Starting with the requirements survey, followed by architectural design and system analysis, detail engineering, integration and finished with verification & validation software and hardware, individual focus areas are set in different methods handled by the institute. Of great importance is the human being in the development of technical systems, which is, in addition to available methods for the structured processing of problems, an essential factor in the development in the decision-making form. Systems Engineering (SE) is an approach that, through interdisciplinary work and mindset, as well as more structured system consideration and modeling, can realize the new challenges. Systems engineering, the technical development of systems, is a combination of methods and processes, realized by means of an organization and tools. Consistent development processes, method interaction and virtual development will in future be the basis for cost-effective but also timely execution of the development. 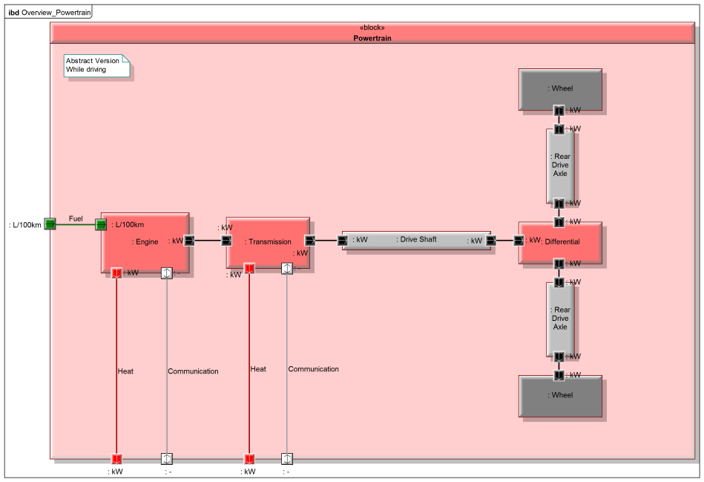 Implementation using the method of Model Based Systems Engineering using the modeling language SysML. 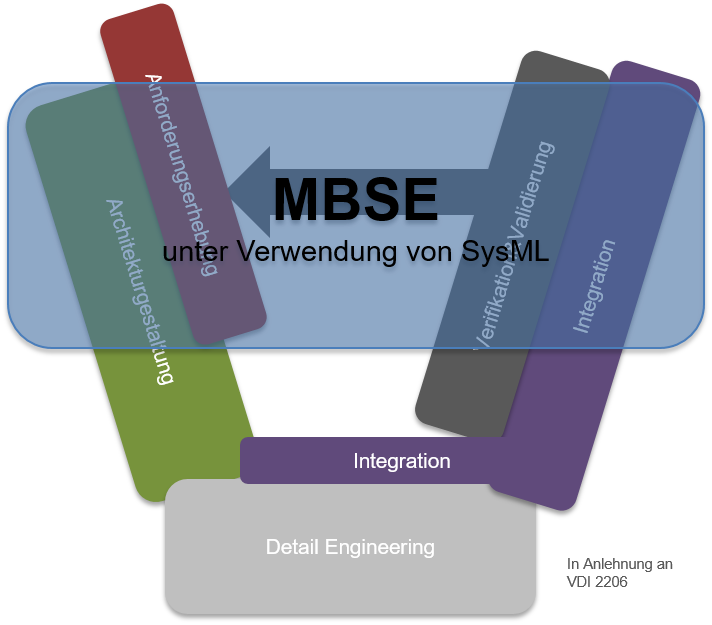 This language is an extension of the Unified Modeling Language (UML), ignoring some areas, and in return provides new content that allows an interdisciplinary system description. The language itself is standardized and machine-readable, which brings a multitude of advantages. Focus is the creation of a system model, with deepening in the functional consideration of systems in the powertrain.